Brown University has removed an article on gender confusion in young people from its website amid complaints from transgender activists. The Ivy League university in Rhode Island said Monday that it decided to take down a news story by Lisa Littman, a member of the faculty in the Department of Public Health, which was recently published in the scientific journal PLOS ONE, because it could be seen as unsupporting of the transgender community. Littman's peer-reviewed study, "Rapid-onset gender dysphoria in adolescents and young adults: A study of parental reports," examined hundreds of detailed surveys of parents whose adolescent and young adult children began experiencing gender confusion and identifying as transgender. Her research found that the worsening of mental well-being and parent-child relationships and behaviors that isolate adolescents and young adults from their parents, families, friends who did not self-identify as trans, and mainstream sources of information are particularly concerning. "More research is needed to better understand this phenomenon, its implications and scope," the study concluded. ROGD is the condition where the development of gender dysphoria in youth is sudden, appearing during or after puberty in individuals who would not have met the criteria for gender dysphoria during their childhood, and the study sought to understand the role of social and peer contagion in the development of this condition. Littman's research also explored the possibility that such pressures might lead some teens and young adults to assume that they are transgender, and as a result undergo permanent, body-altering medical procedures they might end up regretting later but cannot undo. Some transgender activists were upset by the content of the study and made a concerted effort to get the university to reject it, calling into question the methods of the research and asserted that the participants were from "far-right" and "anti-trans" hate sites. The university caved to their demands this week. In a statement from the Dean of the School of Public Health, Bess H. Marcus said that they heard concerns from Brown community members that the study's conclusions "could be used to discredit efforts to support transgender youth and invalidate the perspectives of members of the transgender community." "The spirit of free inquiry and scholarly debate is central to academic excellence. At the same time, we believe firmly that it is also incumbent on public health researchers to listen to multiple perspectives and to recognize and articulate the limitations of their work," Marcus continued. "This process includes acknowledging and considering the perspectives of those who criticize our research methods and conclusions and working to improve future research to address these limitations and better serve public health." Transgender advocacy group Mermaids lauded the move, saying Tuesday that they were "pleased to see that Brown University has taken steps to evaluate this paper. We hope that any future research into young transgender people and their families is conducted in a balanced way and with the best interests of trans youth in mind." The data show that of the 256 youth reported on in the study, 204 claimed alternative sexualities to their parents before self-identifying as transgender. More than 200 youth were supported in changing their presentation in terms of hairstyle and what clothing they wore. One hundred-and-eighty-eight youth had changed their names and 175 had changed their pronouns. One-hundred-and-eleven youth told their parents they wanted to see a gender therapist and 92 of them were taken to see one. Brown's capitulation to the demands of a few activists and their decision not to stand behind the scholarship of one of their own faculty members unsettled some observers. 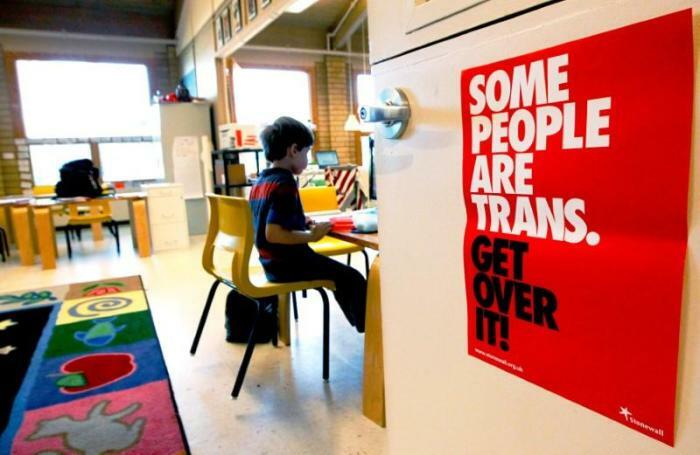 Journalist Jesse Singal, who earlier this year published an in-depth cover story for the Atlantic on the growing phenomenon of children and teenagers who believe themselves to be transgender, commented on Twitter Tuesday that the honesty in the school's statement was noteworthy. "Researchers can publish findings that support the 'born this way' storyline (which plenty of trans people themselves disagree with) all day long with no problems. Anything else will be careful picked apart for signs of 'harmfulness,'" Singal said. Claire Lehmann, founder of Quillette, a publication that has several thoughtful examinations of transgender ideology, likewise, found the university's move strange. "Firstly, when investigating the existence of a NEW medical phenomenon, exploratory &/or qualitative studies are fine. Secondly, if the concerns are purely methodological, why does the Dean feel the need to invoke shibboleths about diversity & inclusion?" she said Monday. Meanwhile, other parents, some of whom have children that have suffered from gender dysphoria, are imploring Brown through a petition at 4thwavenow to stand with Littman and supporting open, academic inquiry into the subject. "We, the signatories to this letter, overwhelmingly support the rights of transgender people, but we want better diagnostic and mental health care for youth who suddenly demand serious medical interventions, particularly in the absence of a history of dysphoria," the letter to the university reads. "We believe that medical interventions that may benefit some individuals may not help, and may even harm, others, as already evidenced by the growing number of desisters and detransitioners, many of whom have already suffered from irreversible side effects of their earlier medical transition. We support more research to help distinguish between the two groups, and Littman's study is an important first step." They concluded: "We strongly urge Brown University and PLOS ONE to resist ideologically-based attempts to squelch controversial research evidence. Please stand firm for academic freedom and scientific inquiry. We urge you to support Littman in this important line of research."